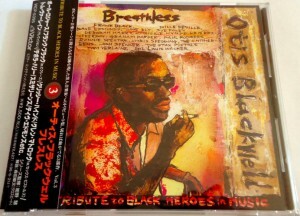 Japanese CD issue of the Otis Blackwell tribute album featuring Jon Spencer covering All Shook Up (written by Otis Blackwell and made famous by Elvis Presley). 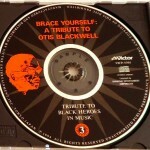 The disc features the title of the US release of the album “Brace Yourself: A Tribute to Otis Blackwell”. Harn Arrangements: The Uptown Horns Produced: Jon Tiven for Private Domain and Tony Visconti for Tony Visconti Productions inc.
Additional Recording at Apartment 2, Novato, Cal. Chicago Recording Co., Chicago, Ill. This album contains no samples, no synthesizers, no sequencers, and no midi information. All of the music you hear is unencumbered by the restraints of digital technology. 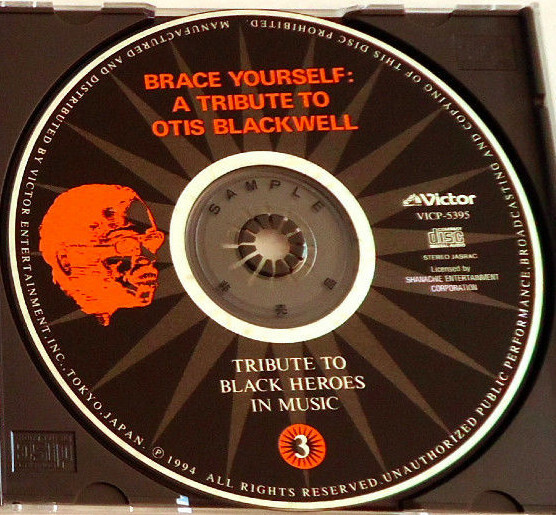 Otis Blackwell emerged during a time when songwriters were not encouraged by record companies to become artists in their own right, and as a result the record-buying public was denied access to one of the greatest singer/songwriters of the rock ‘n’ roll era. Those who have been fortunate enough to see Otis perform his songs live can appreciate how big a debt Elvis Presley owed to Otis not only for providing songs for him but for creating a style of singing that Elvis obviously incorporated into his own recording persona. Making BRACE YOURSELF! Was an educational process as well as pure pleasure, and helped me get closer to one of the people who inspired me to become a songwriter in the first place. I hope you like it half as much as we all enjoyed making it. 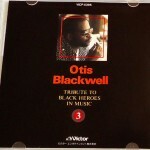 Although I was aware of Otis Blackwell before this album started, my esteem for him shot up 5000% by the end of it. 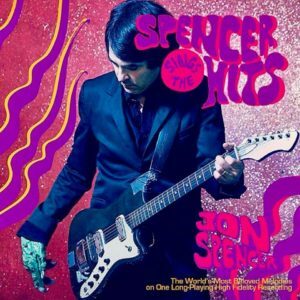 This unsung hero wrote some of the best songs ever heard since the birth of Rock. 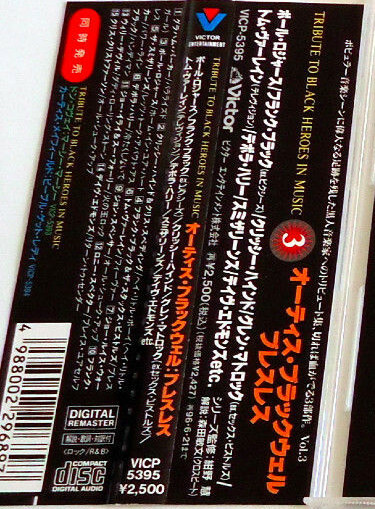 Not only were his melodies unforgettable and haunting (in the case of ‘Fever’) but the man was an incredible poet too a fact that emerged when I worked on the vocals with his lyrics in front of me. If you put Otis’ songs under a microscope you will see nothing but perfection All of us had a ball recreating some of the glorious music we grew up with. An image I shall never forget is Odette, Otis’ daughter, sitting in the studio with her seven year old son Torian, listening to the playback of the mixes. Young Torian knew most of the words to all the songs and if he forgot any Odette quickly reminded her son what the missing words were. Otis’ music will never die. 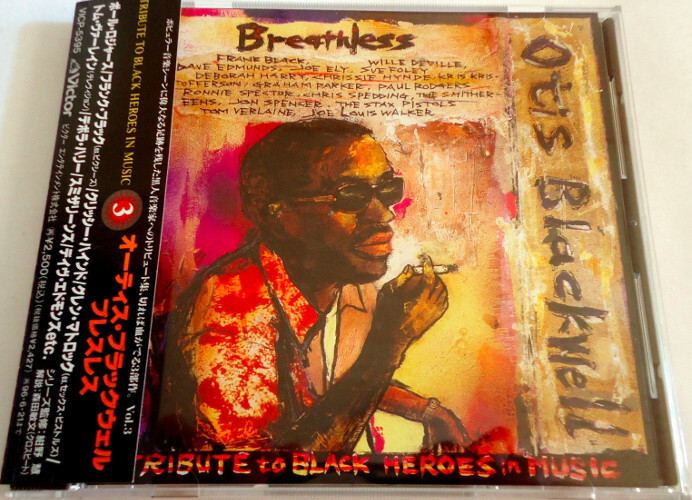 Brooklyn born and raised, Otis Blackwell is one of the few songwriters whose music helped define Rock and Roll in the early and mid-50’s. Having written more than 1,000 songs which have sold nearly 200 million records, Otis began his music career in the late 40’s writing songs while working as a presser in a Brooklyn tailor shop. He began performing his music in the early 50’s in various Brooklyn clubs and theatres, and after which decided to target his talent solely to writing. Best known for writing the smash hits “Return to Sender”, “All Shook Up”, “Paralyzed”, and “Don’t Be Cruel”, Otis created the meat and bas of Elvis Presley’s career. In performing on his on demonstration recordings, Otis’ singing style caught the ear of Aaron Goldmark of Shalimar Music Publishing who in turn introduced 2the Blackwell sound” to Elvis Presley’s people. The door was opened from that point on. Not stopping there, Otis scored another hit with Jerry Lee Lewis singing “Great Balls of Fire”. And Dee Clarke who was a key star for Veelay Records found major chart success with Blackwell’s “Just Keep it Up” and “Hey Little Girl”, that he wrote for his childhood sweetheart Josephine Peoples, who soon became his wife. His song “Handy Man” was the first recorded by the falsetto star, Jimmy Jones, and much later by James Taylor. In similar sequence Little Willie John, a leading r& b star of the late 50’s had a top chart hit with “Fever”, and years later Peggy Lee enjoyed a revival hit with “Fever” as well. At other times in his career Blackwell had also been successful as a record producer, having helped turn out hits with artists as diverse as Connie Francis, Mahalia Jackson and Sal Mineo. In the early ’80’s The Black Rock Coalition, a prominent organization of black rock musicians, led by Vernon Reid, the lead guitarist of the band, Living Colour, held a tribute for him at the Prospect Park Bandshell in his native Brooklyn. 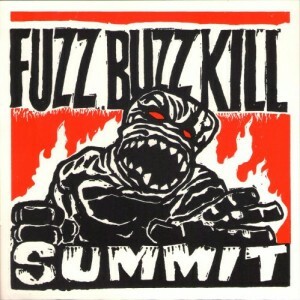 Many prominent musicians and singers took part including Blackwell himself, who performed an assortment of his best songs – “One Broken Heart for Sale”, “Back Trail”, “Don’t Be cruel”, and “Daddy Rolling Stone”. Taking his act to the road again. Blackwell began performing “for fun” as he put it in the mid-seventies, appearing at various New York and Nashville clubs. And after increasing interest in country music, he decided to relocate his home and office to Nashville. Already an inductee of the Nashville Songwriters Association, Blackwell’s moment of glory should have been on May 29, 1991 at the Songwriters Hall of Fame Induction Ceremony and Awards Dinner. Having bought a new tuxedo and asking his daughter Odette to be his ‘date’ Blackwell was aware of the induction and eager to attend the dinner. 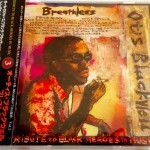 However on February 28, 1991, Otis Blackwell suffered a serious stroke which left him completely paralysed. In addition the stroke resulted in the loss of speech. Currently, Otis is attended by his wife Mamie who he married in 1991, and his son Otis Junior. 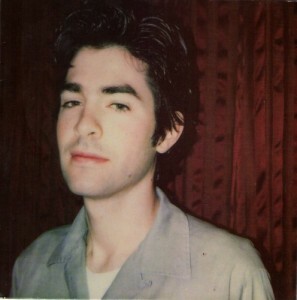 Although he is unable to write music, his songs live through the interpretations by other artists. 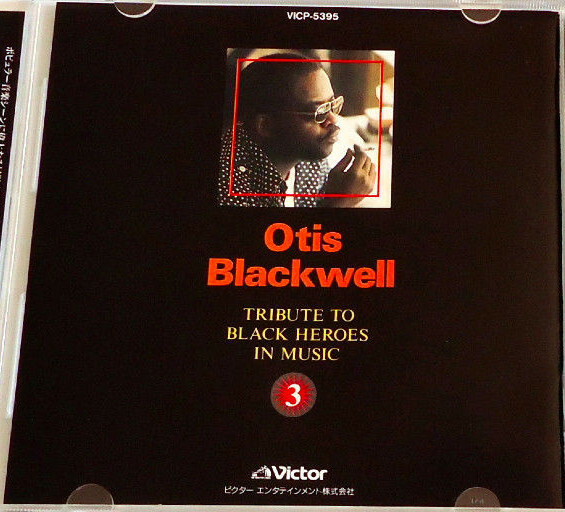 Hopefully this collection will educate the public to the greatness of one of America’s musical masters, an original source but not a household name – Mr. Otis Blackwell.